In honor of all the chocolate that will likely be consumed today, with it being Halloween and all that, we thought we’d share these precious and luscious favors with you! 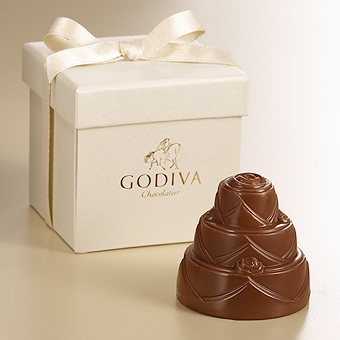 Godiva offers these beautiful milk chocolate wedding cakes filled with their signature dark chocolate ganache. 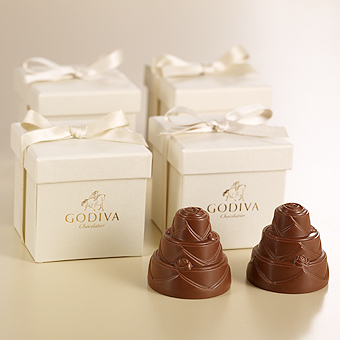 Each favor comes elegantly packaged in a white box wrapped with a satin ribbon. Scrumptious, sophisticated and fun, these little treats will let your guests know you really mean “thank you” when you send them home with one! While their actual first date was still being debated during their wedding reception, one thing is certain: Ransley and Jamin are looking forward to a lifetime of love and laughter together. We were thrilled to have a hand in helping this fun couple bring their vision of a beautiful and imaginative wedding to life. The couple selected the beautiful Texas Discovery Gardens for their outdoor wedding ceremony and cocktails hour, moving inside to the Grand Hall for the reception. 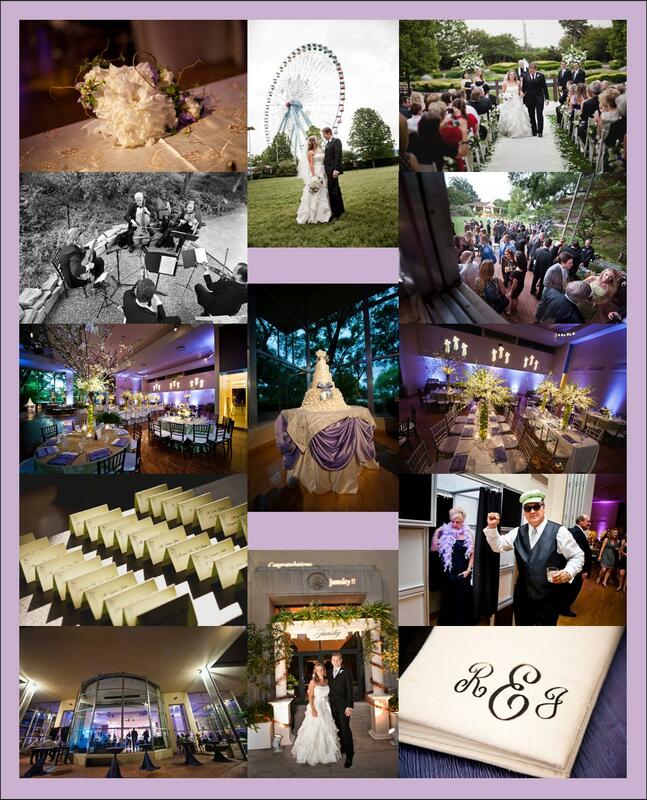 The Dallas venue was a perfect setting to showcase the gorgeous color palette of soft greens and purples. Ransley and Jamin wanted lots of special surprises and unique twists on traditions throughout their wedding. 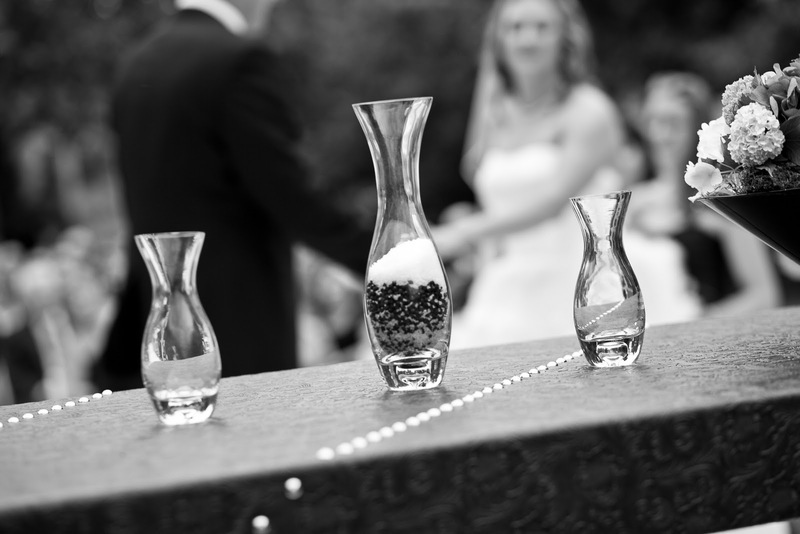 The first of those special touches was a salt and pepper unity ceremony. A twist on the sand ritual, the spice ceremony had the couple using salt and pepper to represent their two families, which they poured together during their wedding ceremony. 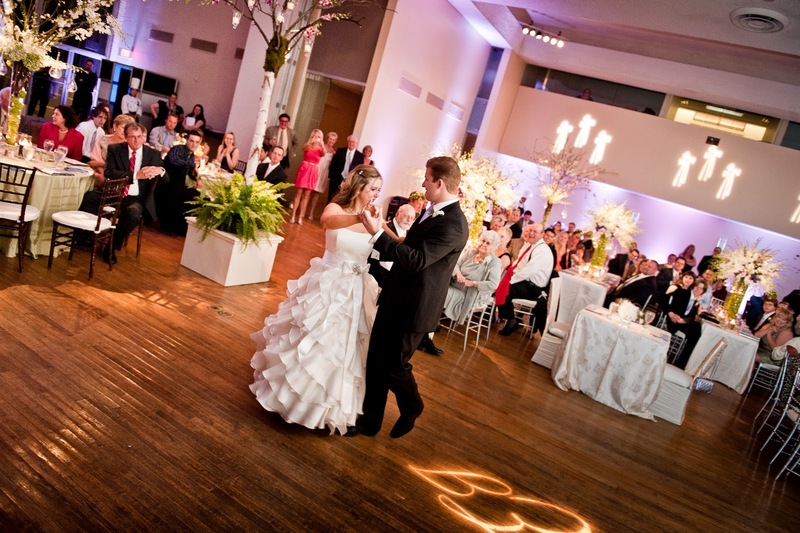 The couple took a cue from trend-setting Hollywood and created a joint name for the reception: Jamsley. Once the couple was introduced, they impressed their guests as they performed a show-stopping choreographed tango for their first dance. For dinner, Jamsley wanted a fun variety of delicious small plate offerings for their guests to enjoy, so with a theme of Flavors from around the World, we incorporated international food stations including Italian, American, Greek and Creole delights. Later, the guests were wowed once again as fabulous fireworks went off behind Ransley and Jamin as they cut their wedding cake in front of a wall of windows. Speaking of cake, their wedding cake was a gorgeous and delicious interpretation of Ransley’s flowing ruffled bridal gown! The cake also sported a purple fondant sash with a brooch that mimicked a sash that Ransley changed into halfway through the reception. 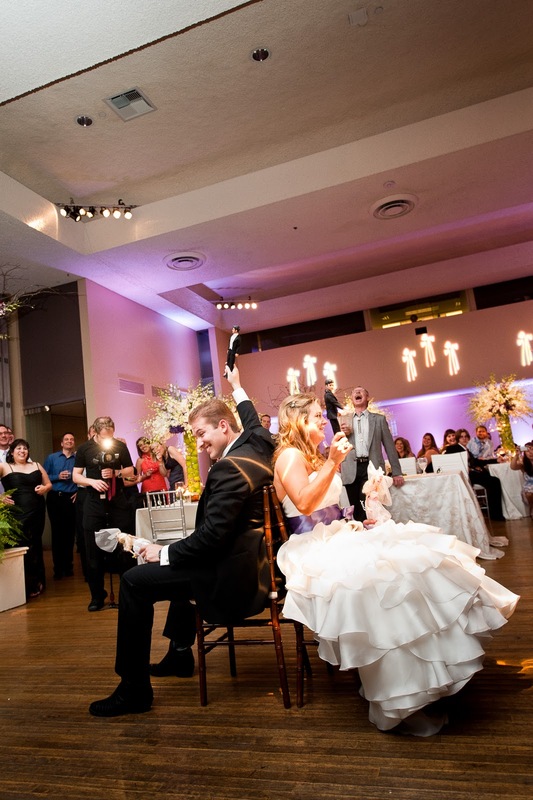 In keeping with the theme of fun, the couple participated in a newlywed game, complete with wedding-themed Barbie and Ken dolls. The newlyweds had one final “ta da” for their guests as they dashed through a shower of rose petals to a vintage Rolls which then drove through fountains of more fireworks! 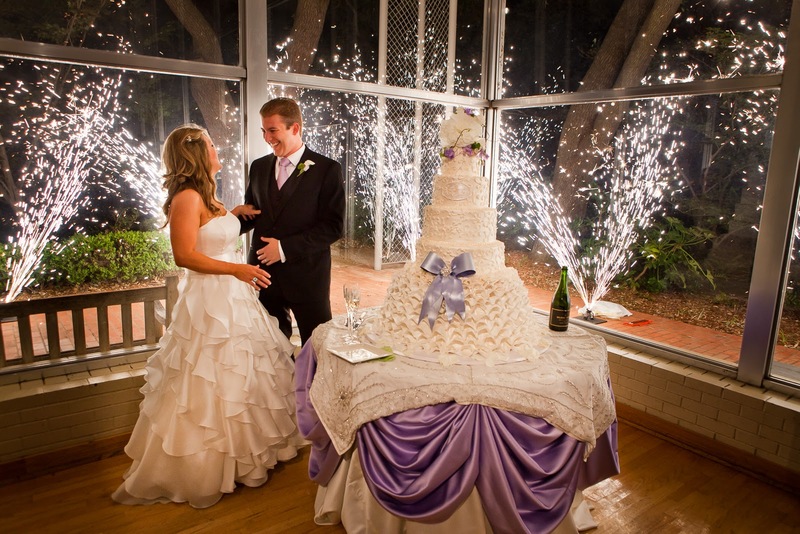 Thank you Ransley and Jamin for asking us to help make your wedding day memorable and magical! And a big thanks to all of our wonderful vendor partners! 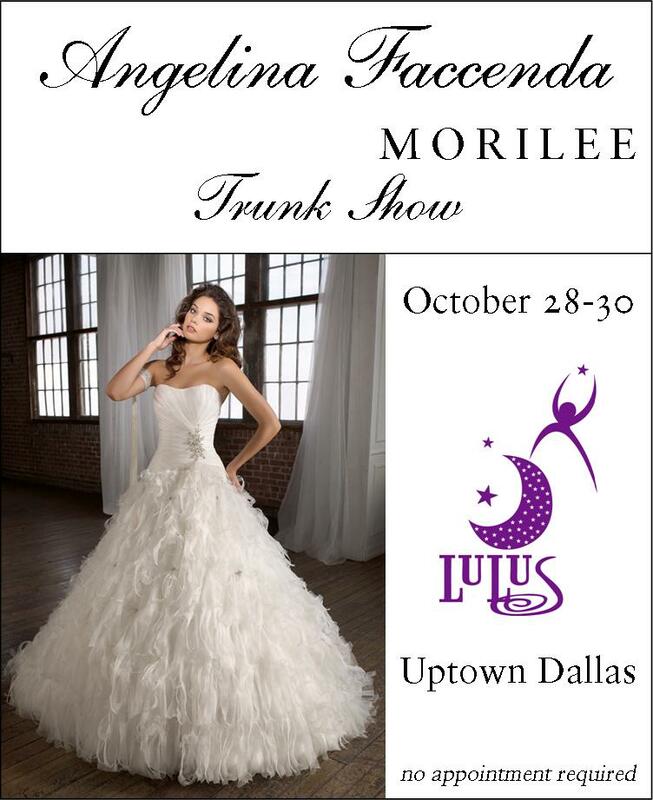 Angelina Faccenda Trunk Show this Weekend! 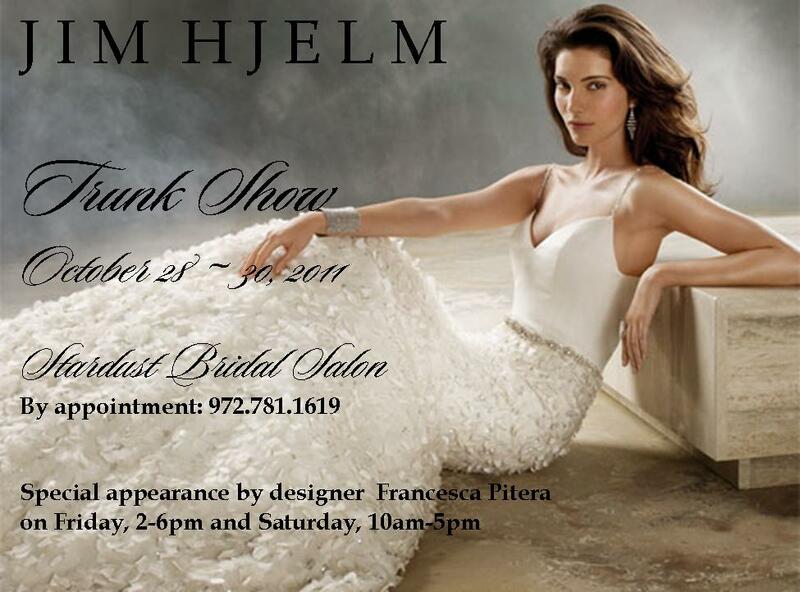 Join us this weekend at the bridal salon at Stardust Celebrations for our fabulous Jim Hjelm Trunk Show. We are honored to have designer Francesca Pitera join us on Friday afternoon and all day Saturday. Call now for your appointment during this special event: 972.781.1619. Aaaannnnd, we’re back! Market was amazing and a total whirlwind! Yesterday we completely rocked the fashion show at Unveiled, and we’ll have recaps from the past week for you shortly. But here’s a tasty tidbit to tide you over, because what girl doesn’t love shoes?! 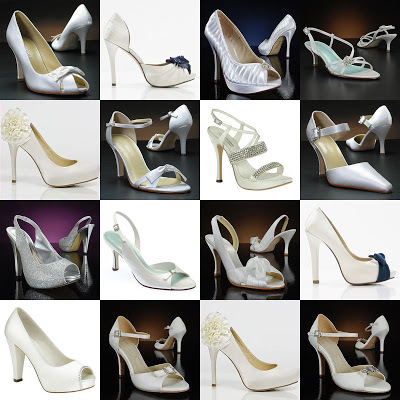 Right now we have tons of bridal shoes on sale at our Stardust Bridal Salon in West Plano! We’re clearing out our inventory and have F-A-B-U-L-O-U-S shoes from designers such as Grace, Angela Nuran and Love by Enzoani, to name a few! Come in and find your gorgeous wedding day shoes for a great deal!